Peppers, orange juice and bourbon! 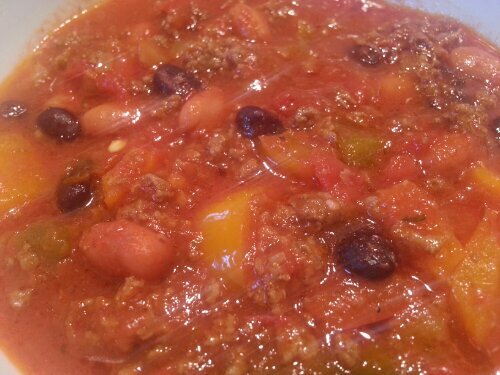 No wonder this has swiftly become my all time favorite Chili recipe. Double it and freeze some for later. Add tomatoes and bring mixture to a boil over medium-high heat. Add beans and reserved beef. (If mixture is dry, add up to 1 cup water.) Reduce heat to medium-low and simmer, partially covered, for 1 hour. Serve and garnish as you wish.